Enjoy the top 6 famous quotes, sayings and quotations by Jitendra Bhardwaj. 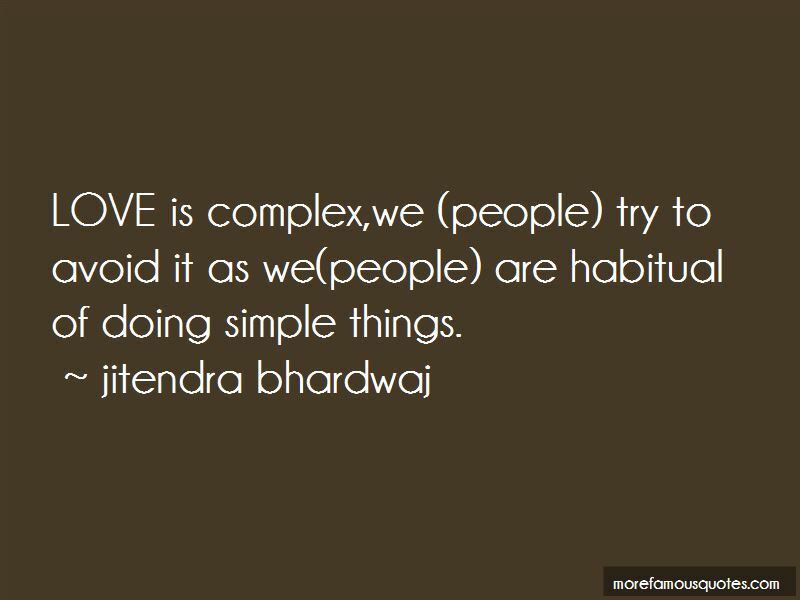 LOVE is complex,we (people) try to avoid it as we(people) are habitual of doing simple things. “Apathy might be the reason for your struggle with sleep in the night. High above everything , there exist a peaceful world that will fix your insomnia. Light will bring you out of the darkness of your apathy, you will be free from pain and LOVE, it will bring you happiness. You may feel that you are doing some wrong even you are on the right way. Everything that kills you will make you feel alive. When your world has stuck on past and pain is unbearable, love will bring you happiness and nature will fix you up in the beautiful world to enjoy strawberries. Only mistake people do in their relationship is that they also use their brains to make love. Want to see more pictures of Jitendra Bhardwaj quotes? 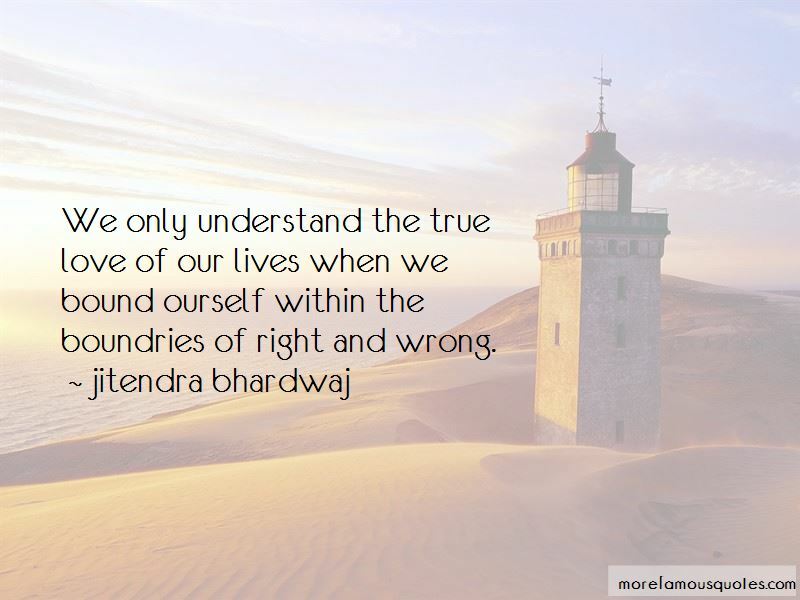 Click on image of Jitendra Bhardwaj quotes to view full size.